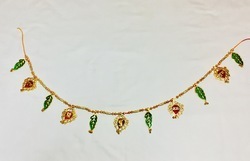 Our range of products include gold plated jain bandharwal, bharat handicrafts gold plated om ganesha bandharwal, gold plated pankhi bandarwal, white metal meenakari bandarwal, white metal gold plated bandarwal and bharat handicrafts silver round bandharwal. We make an Exclusive Variety of Metal Ganesha and Jain Bandhanwar For Door. We make in Silver and Gold Plating. 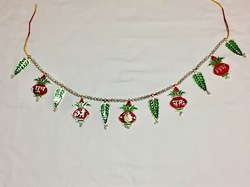 We make an Exclusive Variety of Metal Ganesha Bandhanwar For Door. We make in Silver and Gold Plating. 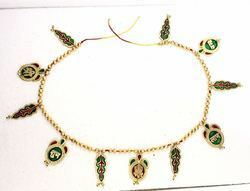 We are manufacturing White Metal Meenakari Bandarwal in Different Kind of Finishing. 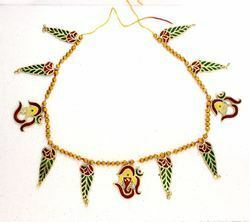 Here is The Meenakari Green Bandarwal with Silver Ganesha in Center. We are manufacturing Bandharwal in Different Kind of Finishing. 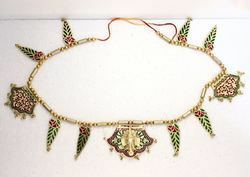 Here is The Gold Plated Bandarwal. 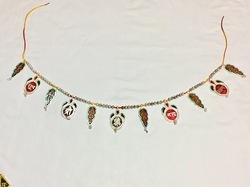 this range of Silver Plated Meenakari Wall Hangings has been specially handcrafted by our expert craftsmen to give a completely antique and modern look. 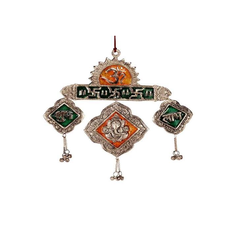 This antique Wall hanging comprises Ganesha Embossed that are bound to attract the attention of every onlooker. 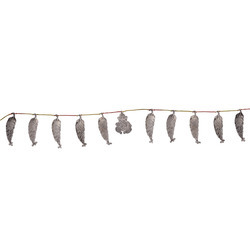 We are offering a wide variety of designs and patterns in these hangings. 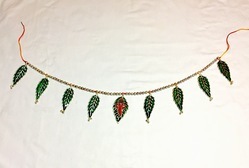 These are in fine Meenakari oxidized silver finishing and can be used or placed as Dorr hangings and Gifts. We are manufacturing Religious Wall Hangings in Many colors and Shapes with different religious figures engraved on them. 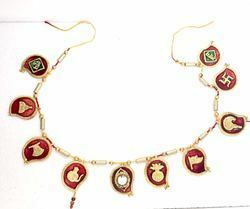 These items are firstly Polished, then oxidized and then Enameling / Meenakari is done to give it a colourful Look. We are manufacturing Bandharwal in Different Kind of Finishing. 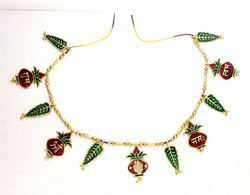 Here is The Silver Plated Bandarwal. 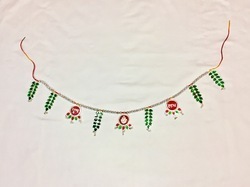 We manufacture and supply a wide range of White metal wall hangings to our clients. 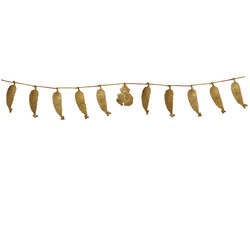 Under this we offer White Metal Wall Hanging. 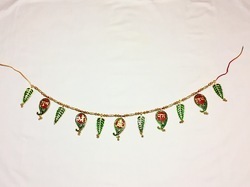 This wall hanging is available in unique designs with oxidized and meenakari work. 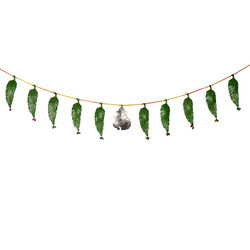 We offer these wall hangings to our clients at reasonable rates and in numerous designs. 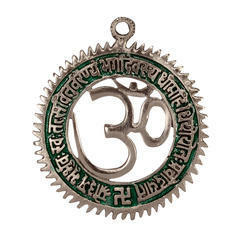 We are manufacturing Silver Plated OM with Gayatri Mantra and more Religious Items in fine hand carving work in Oxidized Silver and Oxidized Gold Finishing. 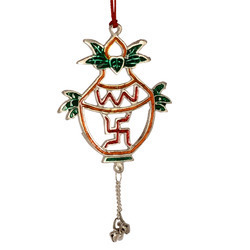 In order to cater to the extensive demands of the market, we are offering a wide range of Silver Plated Ganesha Wall Hanging across the nation. These products are manufactured using high-grade raw material and advanced technology in compliance with international standards. To ensure the durability and performance of these products, these are tested on various parameters. Moreover, these products are available at very reasonable rates to the patrons in versatile models.